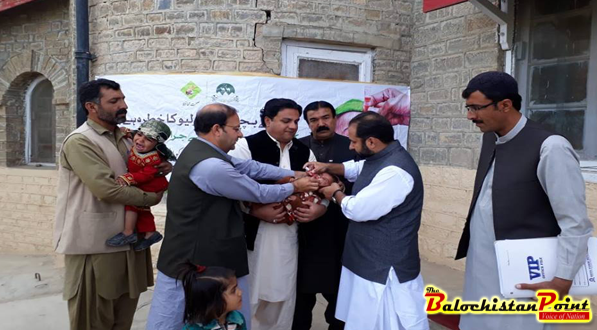 ZHOB: Deputy Commissioner Abdul Jabbar Baloch inaugurated the three day anti-polio campaign by administering anti-polio drops to children under five at Castle here on Saturday. 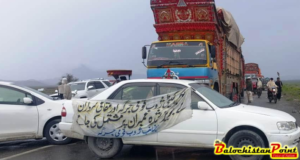 The drive will be continued till Monday in 30 union councils of the district that straddling borders with Afghanistan and South Waziristan. District Health Officer Dr. Muzafar Shah, Communication Officer UNICEF Samad Hariphal and N-Stop Officer Dr. Muhammad Amin were also present on the occasion. 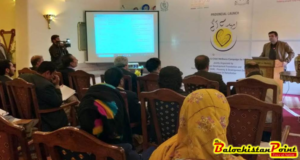 Talking on the occasion Deputy Commissioner Baloch said that polio is a crippling and potentially fatal infectious disease. There is no cure, but safe and effective vaccines. “We would continue to strive hard to completely eradicate the virus and it is responsibility of parents to get immunized their children during the campaign,” adding negligence on the part of officials will not be tolerated at all. He warned. According to In-charge District Polio Control Room Dr. Muhammad Amin in 30 union councils of the district the targeted population is 68310 including nomad children. Zhob has geographically importance. The area is international route for Afghan nomads, pass here twice every year. They (High Risk Mobile Population) are considered to be the biggest carriers of poliovirus. Chilly winter here in the mountainous area is considered to be friendly weather for the virus. UNICEF representative Samad Hariphal said that the campaign has so for yielded positive results, keeping in mind he said over 8000 nomad and roaming children have also been vaccinated during the last campaign.